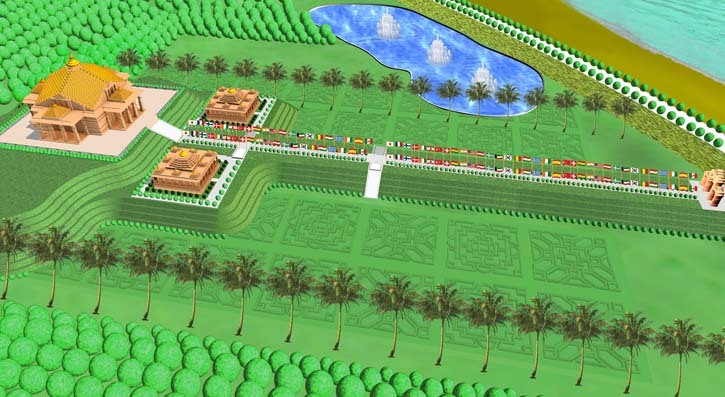 A grand promenade will lead guests from the magnificent “Gopuram”, (entry gate) at the beginning of the Maharishi Smarak area, past 8 Mandaps (Pavilions), each dedicated to a specific area of Maharishi’s Total Knowledge. The Mandaps will contain entertaining state-of-the-art exhibitions where guests can enjoy an enlightening vision of the easy-to-apply, scientifically proven technologies that Maharishi brought to the world to bring fulfillment to every area of life. with 8 exhibition mandaps. 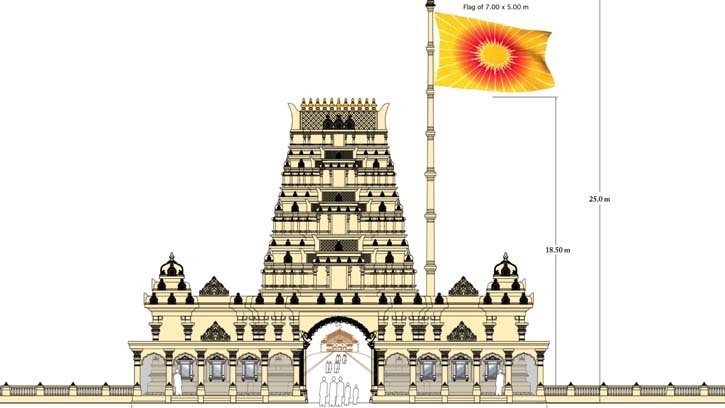 This rendering shows phase 1, with two exhibition mandaps and the giant gate at the entrance. A beautifully styled eastern Gopuram (entry gate).